Eva Kimani is not your ordinary mama mboga. When we meet for this interview, she is in a figure flattering bright yellow dress, and she is sporting a fashionable haircut and a fresh manicure. Looking at her, it is hard to marry the woman to her job. “I go to Marikiti market and the shambas every Wednesday and Friday to shop for vegetables which we then package in personalised baskets for our clients. But that doesn’t mean that I can’t look good,” she tells me later on to clear my doubt. About a year ago, a friend floated the idea of starting a grocery shopping company to Eva. At the time, a job contract had just ended and she was looking for something to do. When she began looking into the idea, she saw a wide gap. “Grocery shopping is a big problem for most people. There is the bigger time issue and also the problem of quality,” she describes the problems that she and her business partner fix on a daily basis through their business. It’s a very interesting story how Eva got here. Have you ever spent your every waking moment working for something only to realise when you finally get it that it wasn’t all that it appeared to be? If you have, that experience sums up Eva’s career life. Eva holds a sociology and communications double major degree from the University of Nairobi. From the first day that she set foot in a college class, she knew that she was destined to work in the NGO world. She also knew that she needed to put in hours to work her way there. So she started from the very bottom doing clerical work in a government organisation. Her passion for it can perhaps be demonstrated by the fact that she left a permanent and pensionable job with the government to take up a start-up job with a NGO that paid her a quarter of her salary. Four years in, the novelty wore off and when her renewable contract ended in 2013, she opted to pull out. It was exciting but not nearly as fulfilling as she had hoped it would be. 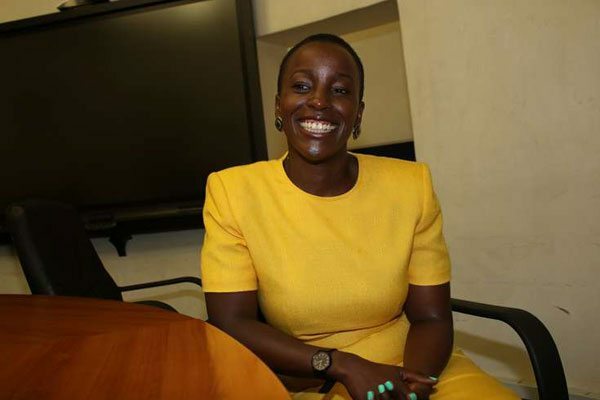 After a nine month stint, she left the job and came back to Kenya to re-group. It was while she was in between jobs back home that her friend Njeri suggested the grocery shopping and delivery idea. The used their savings to finance the start up and began with family and friends as their first clients. From there, their business grew through referrals. While her business partner who she terms as a perfectionist is in charge of quality control, Eva does the customer relations. The match seems to be working as their customer base has grown to at least 60 constant weekly orders. They are also making deliveries to institutions and other larger clients. “It took some time to learn the tricks of trade, like the fact that scales are often tampered with and to cut out some of the middle men at the market,” she says. For the logistics, Something Grown has contracted a courier company with riders to make deliveries. This allows them to focus their energies on other aspects of the business. The biggest challenge has been the long food chain that makes the product more costly for the customer. She admits that she has had moments where her spirit died but the small joys like happy customers always re-energise her. You never know what is behind that curtain until you open it. 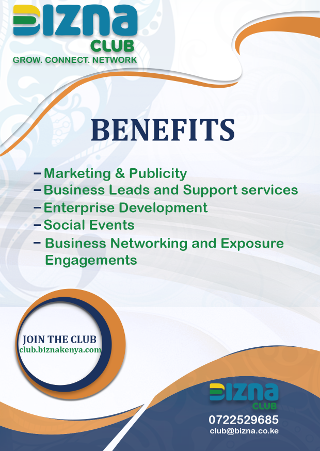 Make full use of the skills you acquired from employment to grow your business. For Eva, it was customer service. Start your business on the right path. Run a clean business.